More than 30 years ago, Boylan et al published a study in the Journal of Thoracic Cardiovascular Surgery in which the long-term results of 200 patients who underwent CABG, 100 of whom received a LIMA — left anterior descending coronary artery (LAD) bypass graft and the second 100 who received a saphenous vein (SVG) to LAD bypass graft, were analyzed. The operations took place from 1971 through 1973 when taking down the LIMA was still in its infancy. The study concluded that the LIMA-LAD graft, with an intervention-free survival of 60.5% after 18 years, yielded consistently better overall and intervention-free survival than did the SVG-LAD in patients who were surgically treated for isolated left anterior descending artery stenosis. At the 2016 Cardiovascular Fellows Bootcamp at the DeBakey Institute for Cardiovascular Education & Training, Dr. Ross Reul, a cardiothoracic surgeon at Houston’s Methodist Hospital, noted that the LIMA is now used in 98% of CABG cases. It is considered the gold standard because of its long-term patency, and the superior mortality rate and the decreased morbidity of patients who receive it. They have fewer myocardial infarctions, and hospitalizations for cardiac events and reoperations than patients who received other grafts. What makes the LIMA so special? Reul delineated the LIMA’s special biological qualities that makes it the bypass graft of choice. First, because its media is thinner and less muscular than other arteries and veins, it produces a higher basal and stimulated rate of nitric oxide and exhibits a lower propensity for spasm. Its internal elastic lamina is non-fenestrated and less susceptible to hyperplasia. It is therefore not prone to atherosclerosis. Moreover, when used in situ, only one distal anastomosis is required rather than the two required by a vein graft. Its location on the left side of the body allows grafting to the LAD without producing tension on the vessel. The LIMA is also closer in size, compared to a vein, to the coronary arteries to which it is anastomosed. However, the LIMA does have drawbacks. With a smaller capacitance, its rate of flow is less than the SVG and it cannot perfuse large myocardial territories quickly. 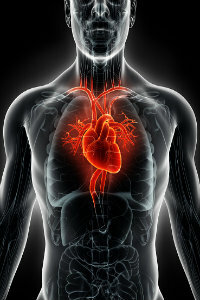 It is susceptible to competing flow from a native coronary. Because it arises from the subclavian artery, it depends on subclavian patency. Moreover, harvesting the LIMA can be challenging. It also must be positioned so that it is not too long as to kink or too short so that it would create tension at the anastomosis. Despite its shortcomings, LIMA benefits far outweigh its weaknesses. The LIMA’s graft patency rate is 96.4% after an 80-month follow-up. Since bypass graft patency is key to CABG success, the LIMA is the uncontested first choice for a bypass conduit.